7th harmonics with a single transformer having a double secondary with both 0 degree and 30 degree phase displacement. 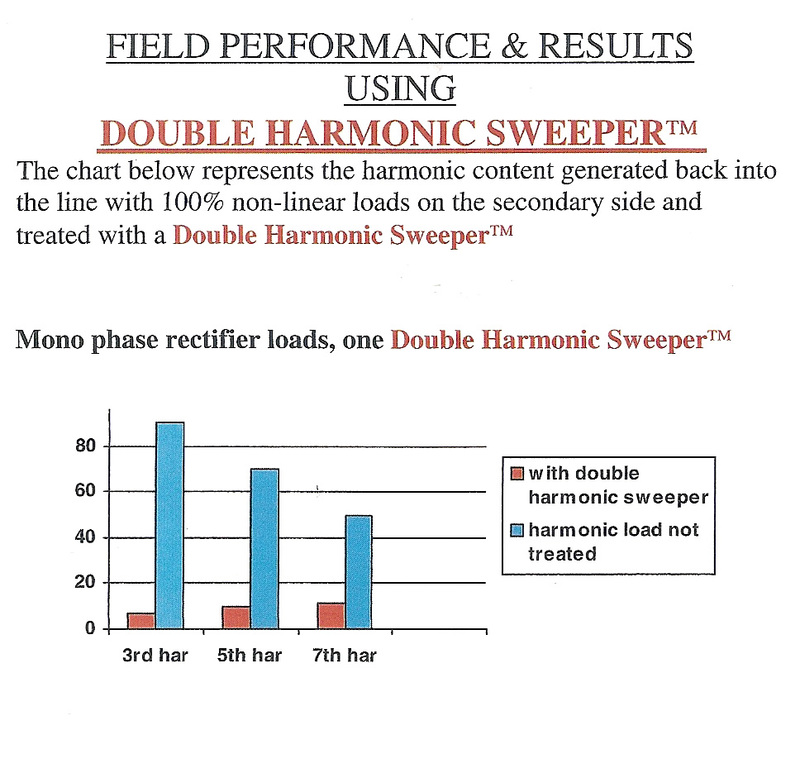 Furthermore the DOUBLE HARMONIC SWEEPER has a low impedance with low voltage distortion, because the triplen harmonics are cancelled in the magnetic circuit and do not circulate in the primary winding. The 5th and 7th harmonics are eliminated due to the phase shift angle of 30° between the two outputs . 5th & 7th harmonics like line-neutral rectifiers. 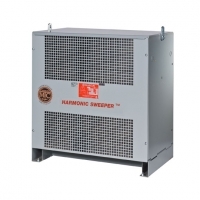 The DOUBLE HARMONIC SWEEPER™ is an effective double phase shift transformer (similar to a delta/double zig-zag). Simply install the unit, split and equally balance the non-linear load between the double outputs, and the harmonic content will be effectively reduced.